But there are signs that smoking in France is losing its lure. 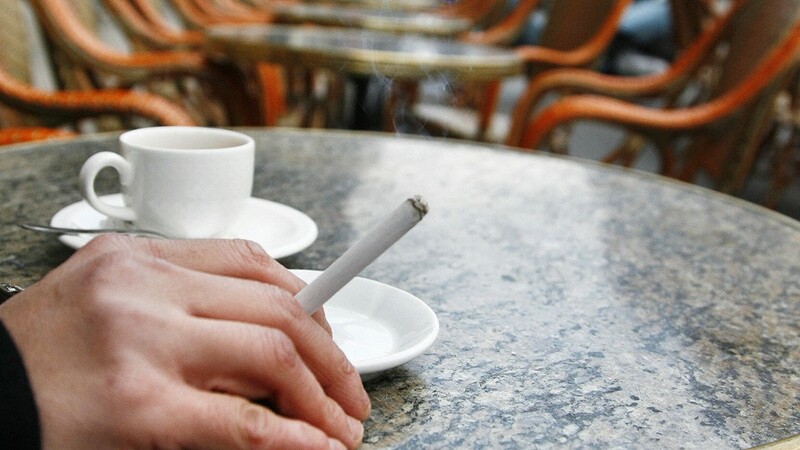 A recent study by the French Ministry of Health has found that one million daily smokers in the country have given up the habit last year. "This historic decline proves to all that it is possible to fight against smoking through coherent and integrated measures," he said François Bourdillon, Director General of the Ministry of Health, in the report published on Monday. 1; around 73,000 people a year. In 2017, 26.9% of 18- to 75-year-olds smoked daily, up from 29.4% a year earlier. This is a drop from 13.2 million daily smokers to 12.2 million attributed by health authorities to the anti-smoking measures of their National Tobacco Reduction Plan in 2016. These steps included switching to neutral packaging to make cigarette packs look less attractive and banning flavors and additives that were particularly appealing to young people, the report says. "This is the result of preventive action that has proven itself and good news that strengthens my commitment to everyone's health," tweeted Health Minister Agnès Buzyn. Smoking reduction is a priority in Buzyn's prevention policy. It also attributes the lower rates of smoking to an increase in taxes on nicotine. In March, just after prices for a pack of cigarettes rose by a full euro, sales fell by nearly 20%. This may explain why the decline in smokers among low-income residents was particularly strong. Buzyn says she plans to raise the price to $ 10 per cigarette pack by 2020. About 1.1 billion people on the planet – about 15% of the world's population – are smokers, according to the World Health Organization. The WHO says that smoking kills more than 7 million people worldwide each year.